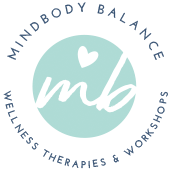 Bodytalk is an alternative health modality that focuses on the root cause of stress, pain and illness in the body. It addresses imbalances within the body and its’ systems. Through light touch and tapping techniques, the nervous system is ‘reset’, bringing the bodymind out of emergency mode and re-establishing communication, allowing the innate wisdom to speed up recovery and healing. Bodytalk is safe, effective and non-invasive. During a session, a client will lay down face up, and fully clothed on a massage table. Through the use of neuro-muscular biofeedback, the practitioner establishes a protocol of priorities that are identified by the client’s body. It is a highly individualized approach to alternative therapies and is extremely effective in targeting the root cause of pain and illness. Browse the testimonials to see how Bodytalk has helped my clients. Hear the founder of the Bodytalk system, Dr. John Veltheim explain the Bodytalk System below.